Amsterdam might be one of the best places to be in the Netherlands when it comes to summer. The Dutch capital has everything one might need for that perfect summer vibe. From festivals to exploring canals, and from parks to the beaches and open-air cinemas: it has it all. Feel like travelling to Amsterdam already? 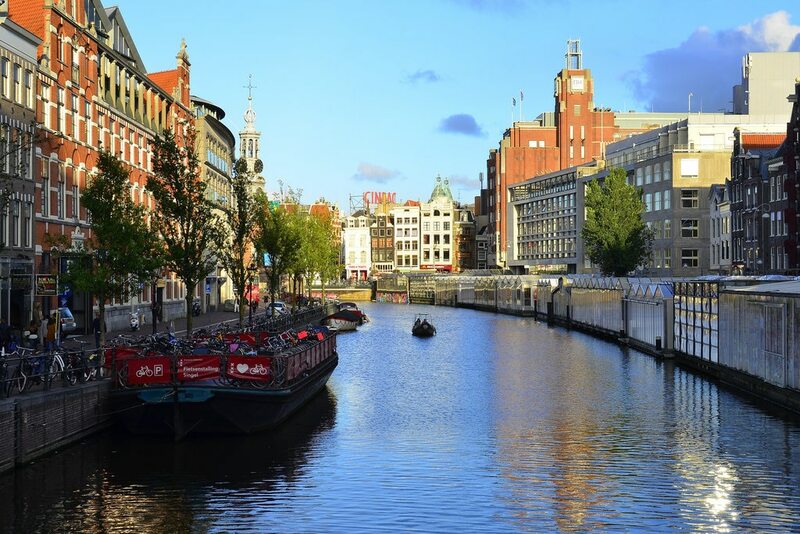 Well, continue reading and you'll find out more about just a few of the amazing things you can do in Amsterdam on the perfect summer's day. Image by Colby Stopa via CC BY 2.0 licence. 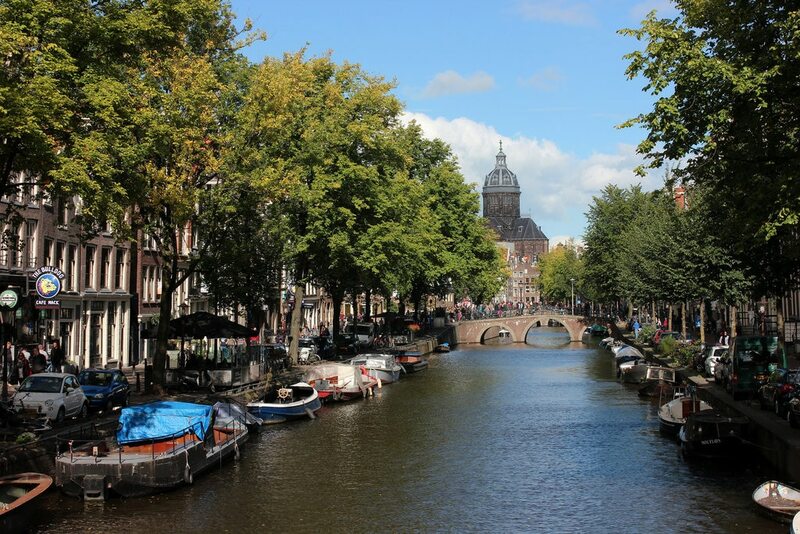 Amsterdam is known for its canals and rightfully so. These picturesque spots are beautiful in winter too but nothing beats strolling around the canals of Amsterdam in the sun. Enjoy the unique views and the people that surround you. When strolling around with kids, add a fun game and let them count how many bicycles they see in just one street and make sure to take a picture with the prettiest (or weirdest/coolest) one. Citizens of Amsterdam love to travel using bikes since it is the fastest way to get around the city. 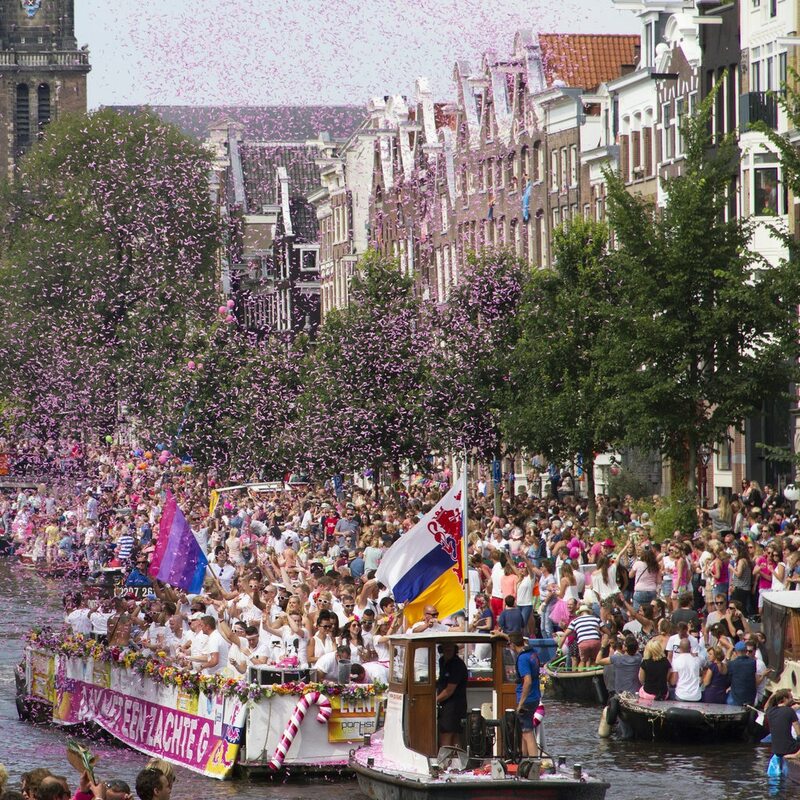 During the summer, there are quite a few festivals held in Amsterdam. Some are very close to the city centre and others a bit further away. However, all of these festivals are easy to travel to and are all part of what makes Amsterdam so great during summer. Visit the electro-tinged festival PITCH in Westergasfabriek or join this year's unique celebration of the Gay Pride: EuroPride Amsterdam 2016. Image by Kitty Terwolbeck via CC BY 2.0 licence. Yes, that's right: a beach in the city. Just outside the city centre, you can find Blijburg Beach, which is an artificial island that makes summer in Amsterdam even better for its citizens and visitors. At this beach, you can find a restaurant and bar that not only offer great food but also allow you to enjoy live music and evening campfires as well. It's almost as if you're not even in the big city here! One of the best ways to end your summer's day in Amsterdam might just be the open-air cinema nights you can find in the city. Rooftop Movie Nights is one of the options where you can watch a movie and relax in comfy chairs with good wine and snacks. Het Ketelhuis at Westergasfabriek also organises open-air movie nights. Check their websites to learn more about which movies are shown on which days. Image by Franklin Heijnen via CC BY-SA 2.0 licence. Gotta love Amsterdam right?! 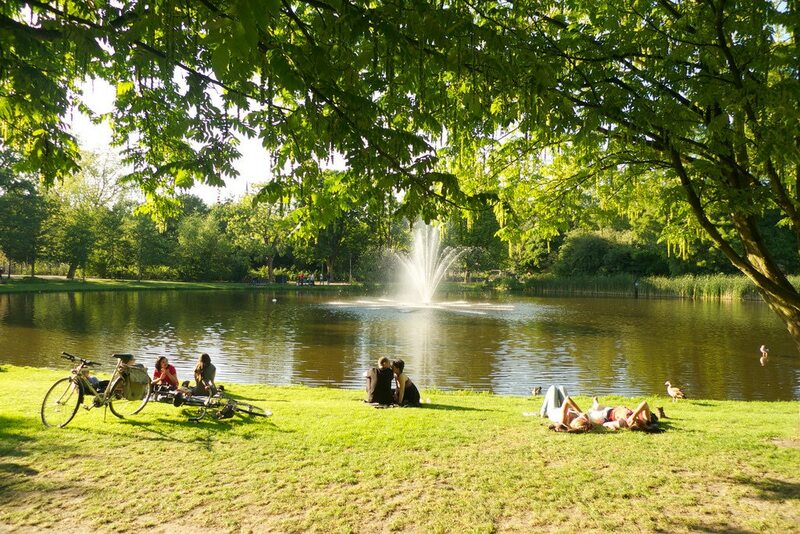 Barbecuing is allowed in Vondelpark and Westerpark (not in all parks - make sure to check before you start your BBQ party). Buy a disposable barbecue and everything else you need at one of the supermarkets in the city, and enjoy one of the best summer meals of all time. Also, this is a great way to meet other people, since everybody loves to barbecue and relax while doing so. This is a fun thing to do wherever you are. People watching is one of the most interesting things to do and is also very enjoyable when coupled with some cold beers and typical Dutch snacks (bitterballen!). Finding a spot can be quite a challenge when the sun is out but once you find one you'll immediately understand why so many people love to do this in Amsterdam. Image by Christian van Elven via CC BY-ND 2.0 licence. A trip to Amsterdam is always worth it but a perfect summer's day in this city makes falling in love very easy. The public transportation in this city is great, which makes it easy to combine these things to experience an even better summertime afternoon. If you're in Amsterdam with great weather for several days and you're up to it, you could also opt to travel to one of the beaches very close to Amsterdam such as Bloemendaal and Zandvoort. But whatever you decide to do, don't forget to enjoy the beauty that is Amsterdam. 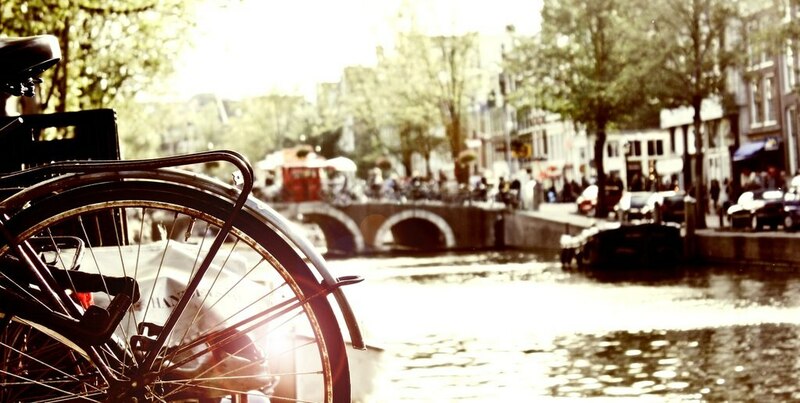 Keen to see Amsterdam in the summertime? Check out our hotel deals to start planning your trip.